Hey there. When Apple launched its iOS 7 updates, manufacturers were given the opportunity to create physical gamepads that work in conjunction with iPhone and iPad devices. The first controller to launch on the iOS 7 platform was the SteelSeries Stratus Wireless Controller, which debuted at the CES 2014. 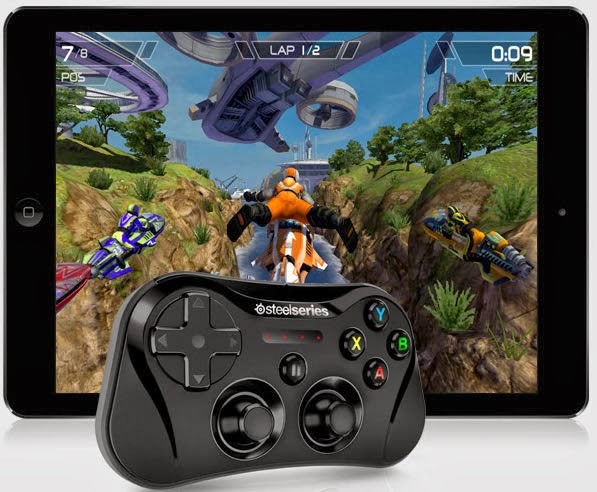 “The Stratus Wireless Controller, the first wireless gamepad controller ever to be supported in iOS 7, forever alters the mobile gaming landscape,” said the CEO of SteelSeries, Bruce Hawver. “With Stratus, gamers have easy and direct access to a growing roster of games on iPad that were intended for an immersive, controller-enabled experience. 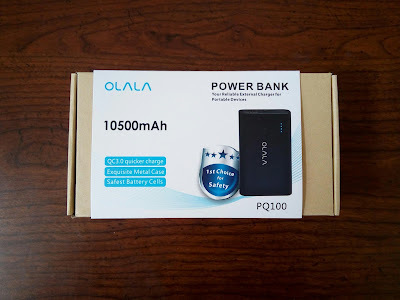 The controller connects wirelessly via Bluetooth and is compatible with a range of Apple devices, including the iPad 4/mini (1&2), iPhone 5/5S/5C and the fifth gen iPod Touch, as well as HD TVs via AppleTV or AirPlay. The gamepad allows up to four simultaneous users and boats up to 10 hours of battery life from a single charge. The design of the Stratus is reminiscent of a console controller, featuring a pressure-sensitive directional pad, four pressure-sensitive action buttons and four pressure-sensitive shoulder buttons, as well as dual analog sticks and an on/off switch. For the first ever time on the iOS platform, developers are able to create game titles that make use of traditional console control schemes, such as those on the Stratus, to provide their players with a fully immersive and wholly challenging way to play. By delivering a console-style gaming experience to the mobile platform, the SteelSeries Stratus Wireless controller is set to change the game for mobile users everywhere. Casual and serious players alike can access titles in a completely new way, whether they’re playing on apps such as Candy Crush or mobile compatible game sites like Royal Vegas. With some predicting that the next-gen releases by Microsoft and Sony signal the end of console gaming, and PC sales continuing to decline, the mobile platform could soon be the dominant force at play in the worldwide gaming industry. With a massive 968 million units of smartphones sold globally to end users in 2013 alone, the Stratus Wireless controller may be paving the way for a new breed of gaming and device interaction that will potentially shape the future. Mine was Scooby Doo. I think it was because I am a foodie. I got Scooby Doo, maybe because I am a foodie. App says I'm Charlie Brown but I know I crush on Velma from Scooby Doo.